Here is an opportunity to work with Initiative Africa! To support and promote a balanced and non-stereotyped portrayal of women in the media, Initiative Africa is seeking a consultant to develop a series of tools and training programs to enhance the capacity of media professionals and houses to contribute to the advancement and empowerment of women. Please contact beruk.w@initiativeafrica.net to learn more on the assignment. Initiative Africa requires the services of a social enterprise organization to collaborate with its Social Enterprise team to organize and implement activities that can reduce violence in schools. Please find below the template and Call for proposals. Initiative Africa requires the services of a media and communication companies to collaborate and work with us on ‘make change happen’ project, to organize and implement activities that are gender sensitive and can reduce sexual gender based violence (SGBV) . Please find below the template of TOR and for call for proposals. Works to help secure Women’s rights and gender equality by mobilizing the media to adopt self-regulatory measures, internal codes of conduct/ethics and internal supervision, and develop standards in media coverage that promotes gender equality. 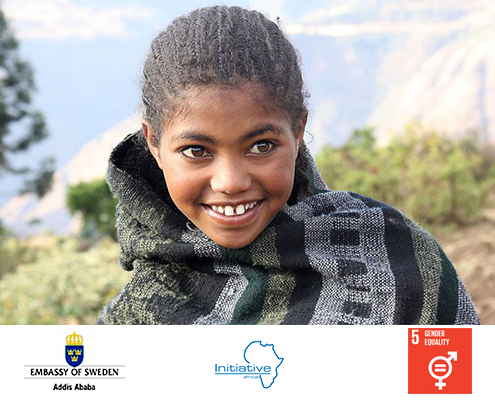 This initiative plans to achieve a minimum of 25% of women in the decision making structure of the private sector and the parastatals of Ethiopia by 2021. This program works to assist high school girls in 92 woredas gain confidence and capacity they need to get rid of gender based violence in schools and their community.